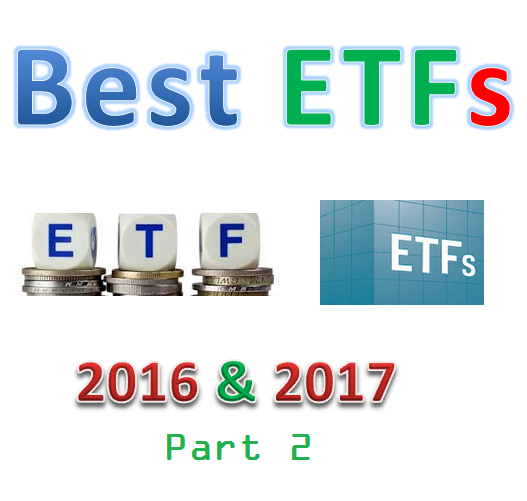 Find part 2 of top 10 ETFs for 2016 & 2017 article. Best exchange traded funds are First Trust US IPO ETF, WisdomTree Total Dividend ETF, etc. If you start investing, you can find this article to be useful. This post provides variety of top ETFs for 2016 & 2017. The ETFs in this list are chosen from variety of sectors and categories. For 2016 & 2017, I still think we need to diversify our assets in stock and bond funds. Whether it is an up year or a down year, both stock and bond funds can provide a balance approach. If you invest in brokerage or retirement account, please check the fund review below. You may find the expense fee, fund’s return, holdings, yield, etc. If you want to find best mutual fund, you can check my previous article as well. 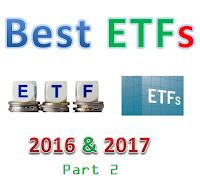 If you miss part 1 article, please check the 10 best ETFs for 2016 & 2017. The First Trust US IPO ETF has $851 million of assets. This fund is introduced to investor on April 12, 2006. It is tracking the IPOX(R)-100 U.S. Index. The yield is 0.60%. Its expense ratio is 0.60%. Morningstar has ranked this large growth ETF with 5 stars rating. It has returned 26.85% over the past 3 year, and 24.02% over the past 5 year. Top 5 stocks in its portfolio are Facebook Inc, AbbVie Inc, The Kraft Heinz Co, Phillips 66, and HCA Holdings Inc. Top 3 stock sectors are technology, consumer cyclical, and healthcare. This iShares J.P. Morgan USD Emerging Markets Bond ETF invests mainly in U.S. dollar-denominated government bonds issued by emerging market countries. This fund provide high yield for income. The current yield is 4.44%. IT has $4.55 billion of assets. This Vanguard REIT Index Fund objective is to provide a high level of income and moderate long-term capital appreciation. It is tracking the performance of a benchmark index, the MSCI U.S. REIT Index. If you want to invest in real estate, you should invest in this best Vanguard fund. The current yield is 3.86%. Its expense fee is quite low, only 0.12%. This WisdomTree Total Dividend ETF is a 4 star rating fund. This equity fund invests mainly in broad dividend-paying companies in the U.S. equity market. The expense fee is 0.28%. The SEC 30 day yield is 2.67%. It has $514 million of assets. This stock fund has returned 12.95% over the past 3 years, and 15.28% over the past 5 years. Top 5 stocks in its holdings are Apple Inc, Exxon Mobil Corporation, AT&T Inc, Microsoft Corp, and Verizon Communications Inc. This PowerShares QQQ ETF has a low expense fee of 0.20%. The total net assets are $38 billion. It has a decent dividend yield of 1.36%. The current share price is $94.45. The price 52 week ranges are between $90.24 & $114.39. This large growth fund is ranked with 5 star rating. It has a 5 year average return of 20.33%. It has returned 9.65% over the past 1 year, and 11.54% over the past decade.